What are the courses open to a Magistrate, when he receives a complaint, wherein more persons than the one are made as accused and when he finds that the allegation against some of them is sufficient for further proceedings and insufficient as against the others? What happens, if his judicial mind impels him to take a decision to proceed against some selected accused against whom allegations are sufficient and to abstain from doing his action against the others, to whom the allegations are deficient? Should the Magistrate take or presume to have taken cognizance of the offence, or can it be presumed that the procedure envisaged under Chapter XV of the Cr PC (‘Code’, for short) has been invoked when he decides not to proceed against the accused, against whom the allegations are lacking? The Single Bench of the High Court of Kerala, in Balasubramanian vs. Biju Kochupaul ( 2016(3) KLT 220 = 2016 (3) KHC 794) held that once the Magistrate takes cognizance and embarks upon the procedure embodied in Chapter XV of the Code, he is not competent to revert back to the pre-cognizance stage and avail the power under Section 156(3). The self-same judgement was followed by the same Judge in P.M. Salim vs. George M.J. and Ors. (MANU/KE/0336/2017). The legal fraternity, as they are aware of this settled principle of law as it has been settled for long time, had felt nothing special about it. But, if we go further reading those judgments wherein the facts of the case are juxtaposed with this principle, there arises the question whether these decisions convey the law relating to taking cognizance of the offence and the law respecting the course open to the Magistrate when the complaint reveals offence against some of the accused and does not reveal offence against the others, correctly. My humble opinion is in the negative. Let’s examine whether s. 203 is the only course before the Magistrate to decide not to proceed against the accused against whom the allegations are lacking. For an easy understanding of the matter under discussion I may quote necessary portion from section 190 of Code, which comes under its Chapter XIV. From the plain reading of s. 190 (1) (a) it is clear that the Magistrate may take cognizance of any offence subject to the conditions in that section. The word ‘may’ used herein includes may not. Application of this may occurs when there is sufficient ground for proceeding further, and the scope for may not is applicable when there is no such ground. Hence, if the Magistrate, after reading the complaint (which is explained judicially as applying his mind) finds that it does reveal an offence, for which he is empowered to take cognizance, he decides to go further. This does not mean that he has taken cognizance of that offence. Only the moment he decides to examine the complainant, it is said he has taken cognizance. A magistrate is expected to apply his mind meticulously, before he decides to order an investigation u/s 156(3) of the Code, yet his exercise will not amount to taking cognizance. The magistrate takes cognizance not when he applies his judicial mind, but when he applies his mind for the purpose of proceeding under Chapter XV of the Code.
" What is taking cognizance has not been defined in the Criminal Procedure Code and I have no desire to attempt to define it. It seems to me clear however that before it can be said that any magistrate has taken cognizance of any offence under section 190(1)(a), Criminal Procedure Code, he must not only have applied his mind to the contents of the petition but he must have done so for the purpose of proceeding in a particular way as indicated in the subsequent provisions of this Chapter - proceeding under section 200 and thereafter sending it for inquiry and report under section 202. When the magistrate applies his mind not for the purpose of proceeding under the subsequent sections of this Chapter, but for taking action of some other kind, e.g. ordering investigation under section 156(3), or issuing a search warrant for the purpose of the investigation, he cannot be said to have taken cognizance of the offence." Similarly, when the Magistrate, after reading the complaint (applying his judicial mind) finds that it does not reveal an offence, he may decide not to go further. He can decide not to take cognizance. The abstention of the Magistrate from taking cognizance will be reflected in the form of rejection of the complaint. This rejection cannot be equated with dismissal of the complaint u/s 203 of the Code, which happens after taking cognizance. This is the slot where the dilemma as to the law relating to taking cognizance steps in. 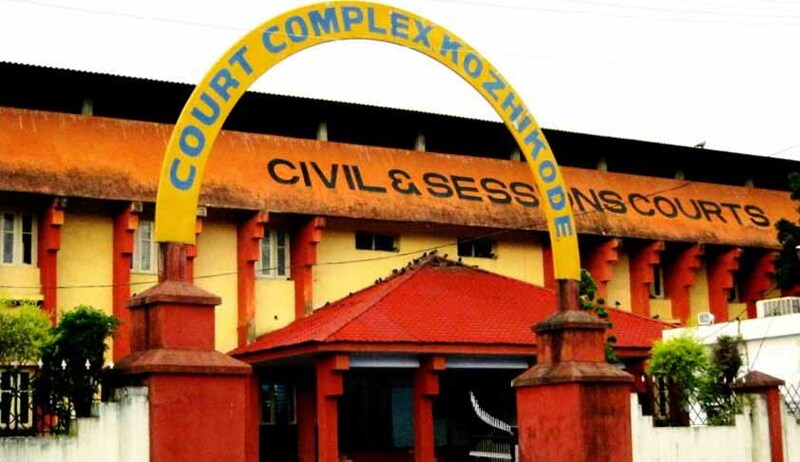 This confusion occurs because of the fact that the Code is not explicit as to the nature of disposal of the complaint when the Magistrate decides not to take cognizance. In Balasubramanian (supra) the learned Judge assumed that the Special Court has taken cognizance of the offence before dismissing the complaint against some of the accused while ordering investigation u/s 156 (3) of the Code. This assumption can be gathered from the following observation. The position that the Magistrate has power to reject the complaint at the threshold is not a matter res integra. In S.M.S. Pharmaceuticals Ltd. vs. Neeta Bhalla and Anr. (2005(4) KLT 209(SC) = (2005 KHC 1468) it was held by the Apex Court that a Magistrate has to consider the complaint before issuing process and he has power to reject it at the threshold, suggests that a complaint should make out a case for issue of process. And Biju Purushothaman (supra) gives clarity that the dismissal of the complaint u/s 203 can be only after taking cognizance. When a complaint is received, the Magistrate has at least three options. He can reject the complaint (if the allegations are insufficient), he can order investigation u/s 156 (3) of Code (if the allegations would constitute cognizable offence) and he can take cognizance and proceed to examine the complainant u/s 200 of the Code. Out of these three, first two are in the realm of pre-cognizance stage. If the Magistrate can reject the complaint as against the accused to whom no offence is attributable, in a complaint where more than one accused are cited and where the facts constituting offence against somebody are available, and as against the others if there are no such facts, the Magistrate is well within the power to choose to order investigation u/s 156 (3) of the Code in respect of the former and to reject complaint relating to the latter, without taking cognizance of the offence. In this regard the order of the learned Special Judge appears to be correct. In Balasubramanian (supra), from the facts narrated in the judgment, it is clear that the Special Court did not actually conduct any inquiry under Chapter XV of the Code, but proceeded under Chapters XII and XIV, but the High Court assumed that what the Special Judge had done was under Chapter XV of the Code. Moreover, the matter being offences covering Prevention of Corruption Act (PC Act), the observation of the High Court that the court below could not have entered such a dismissal without recording the statements of the complainant and witnesses, if any, also is impermissible. Recording statements of the complainant etc. can be done only after taking cognizance, which is barred s.19 (1) of the PC Act, except with the previous sanction of the Government. Hence, I humbly opine that the decision of the Hon'ble High Court of Kerala in Balasubramanian vs. Biju Kochupaul (2016(3) KLT 220= 2016 (3) KHC 794)) does not convey the correct law relating to the Magisterial powers concerning the cognizance of offence and the procedure to be followed by Magistrates when they receive complaints where facts necessary to reveal commission of offences against some of the accused are proper and improper in respect of others. The writer has worked with National Investigation Agency as Public Prosecutor for four years. This article is a pericope from his book ‘Counter-Terrorism Laws in India-A Detailed Commentary on the UA (P) Act’, to be published shortly.